For example, the Town & Country Range-extended Electric Vehicle offers the luxurious seven-passenger capacity and driving range of today's segment-leading minivan coupled with clean, quiet fuel efficiency not found anywhere on the road today. The 2009 Chrysler EV augments its electric-drive system with an integrated small-displacement engine and generator to produce additional electricity to power the electric-drive system when needed. The result: eight to ten gallons of gas will yield 400 miles of tranquility. Chrysler wouldn't design it any other way. 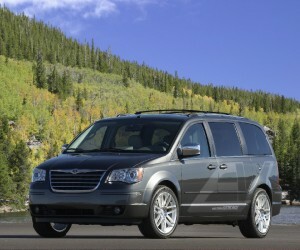 More additions to Chrysler’s EV portfolio will be announced in the months to come.